I started doing a search today both in English and Thai for things Thai people have invented. Just to let you know the list isn't short because I was too lazy to find more things Thai people have invented. The thing is, they havn't really invented a lot of stuff, if any. In fact it was so hard to find something a Thai person has invented that it took me hours just to make this list up. 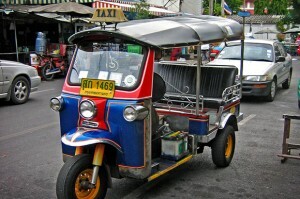 No One knows when the first Tuk Tuk showed up on the streets of Thailand, but we do know that it originated in Thailand. It probably is the most recognized symbol of Thailand, If you see a Tuk Tuk anywhere you know it's distinctly Thai. Whether a Thai person actually invented this or not doesn't matter, it's Thai! Thailand's most recognized invention of all time would have to go to the Thai martial arts of Muay Thai. Only in Thailand would they think of this invention. It's an operating table for elephants, it's can be raised so the elephant will be lying down or standing up, it has heavy duty pulleys on it so that doctors can operate on the animal without it causing a stir. There's one for the record books. One of Thailand's most infamous of all inventions is the Jet Ski Scam in Thailand. 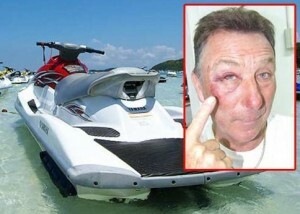 The Jet Ski Scam is a scam originating in Pattaya where unscrupulous Jet Ski operators claim fake damages to their Jet Ski's and using various tactics squeeze thousands out of their customers. The operation has been widely documented but with no one willing to take any action the scam keeps perpetuating. You forgot the bum gun… best invention to come out of thailand yet… wish it would get exported around the world, I just don’t feel fresh anymore if I don’t have a bum gun. not sure if that’s Thai. I doubt it. Sorry – Tuk-Tuk are a japanese invention. 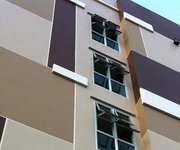 They were imported from Japan before Thai companies started production locally. Again sorry to destroy your list. Muay Thai didn’t actually start in Thailand. The Cambodians started the martial art first. Thailand just copied and claimed the sport as it’s own by naming it mauy thai. There are old cave drawings in Cambodia that prove it started there although thais claim they are fake (been carbon dated). Never heard that before, very interesting. This was one of the things invented by Thai’s (SKYLAB) it is a 3 wheeled motor cycle very unstable if going round a corner dangerous! here is the link http://www.atipongmotor.com/eng/about/skylabhistory/ not the (SAMLOR) pedicab that’s chinese and never modified like everything else in Thailand. 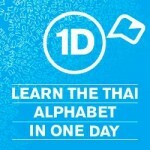 They are the inventors of Thai lies! and Thai Racism/Discrimination the worst i have ever seen and heard! Tuk tuks are from India. The name “tuk tuk” is an Indian onomatopoeia meant to describe the sound of their motors. Muay Thai is based on ancient Khmer martial arts from Cambodia, just like the Thai writing system, Thai architecture and much of the Thai language. Of course Thais never admit this because it undercuts the myth of a “Thai nation” that never really existed, unlike the Khmer Empire which not only existed but was made up of homogeneous population of Khmer speaking Khmer people. Modern “Thailand” is a hodgepodge of various peoples who were conquered by a small Siamese kingdom through warfare, annexation and backhanded deals with colonizing powers like the French and English. Freedom of speech is great and the internet allows everyone to have their say. The problem with it is that many people aren’t responsible enough to do any research before they publish. So we get a lot of reinforcing of popular myths instead of a spread of the truth. This makes the truth even more difficult to find. It’s really too bad.